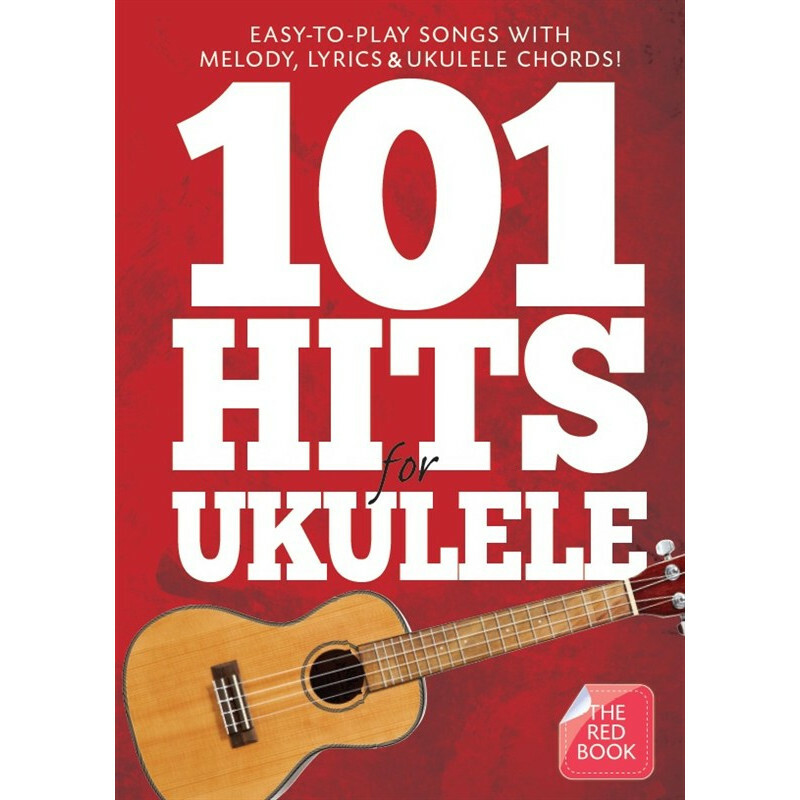 101 Hits For Ukulele represents unbelievable value for money, featuring 101 timeless tunes with melody line, chord symbols, ukulele chord diagrams and lyrics. With The Red Book , you’ll never be stuck for a classic song to play on your Ukulele. 101 Hits For Ukulele features a huge wealth of songs from the old favourites like ABBA’s Waterloo , Dolly Parton’s Jolene and Lola by The Kinks to contemporary pop classics like Lorde’s Royals and Happy by Pharrell Williams. This is not just a collection of pop tunes, though, the beauty of the Ukulele is that songs from any genre work fantastically on such a versatile and fun instrument. Selections from various styles like rock, soul, folk and country, with everything in between. The Ukulele is eminently portable and ridiculously playable, making it perfect for parties, gatherings, or just for practising in private. The great thing about this collection of Ukulele sheet music is that there really is something to suit every taste, so that Ukulele players of all musical leanings can find lots to play and perform. This book comes in a sturdy and durable fold-flat edition so that it’ll stand up to the hardest travelling schedule, as well as being simple and easy to read from. Songs like The A-Team, Creep, Could You Be Loved, Give A Little Bit and Ho Hey sound great on a Uke, and the same goes for all 101 Hits , so get strumming and picking straight away with this bumper collection of Ukulele sheet music that everyone can enjoy.